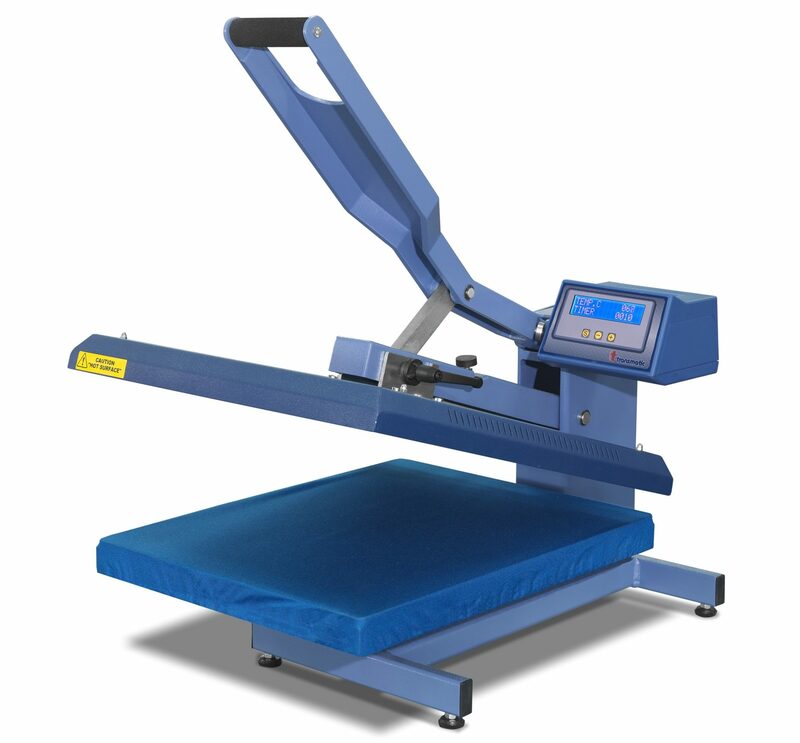 Manual heat press the top plate is not fixed in a rigid manner to ensure an uniform pressure between the upper plate and the bottom plate. Electronic time and temperature regulation. Exchangeable under plate with rapid screw fitting. Suitable for any type of application. Possibility to have the cap accessory as extra option.